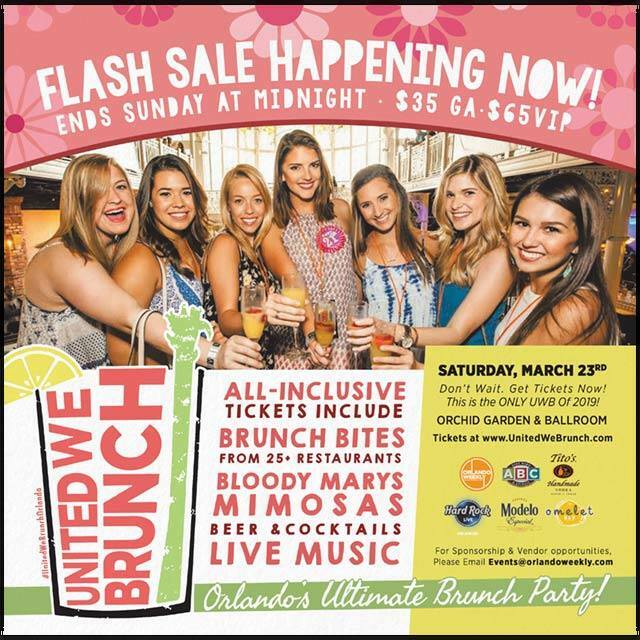 Orlando's top brunch destinations will UNITE for one day for Orlando's ultimate brunch party! Get ready for brunch tastings for 25+ Orlando brunch restaurants, complementary Bloody Marys; mimosas, beer and cocktails in the beautiful daylight hours with live entertainment and unique all for one all-inclusive price! 21+ please! This delicious event will sell out. Guarantee your attendance by grabbing your tickets as soon as possible. VIP at 11am, at Orchid Garden and Ballroom at Church Street in downtown Orlando!